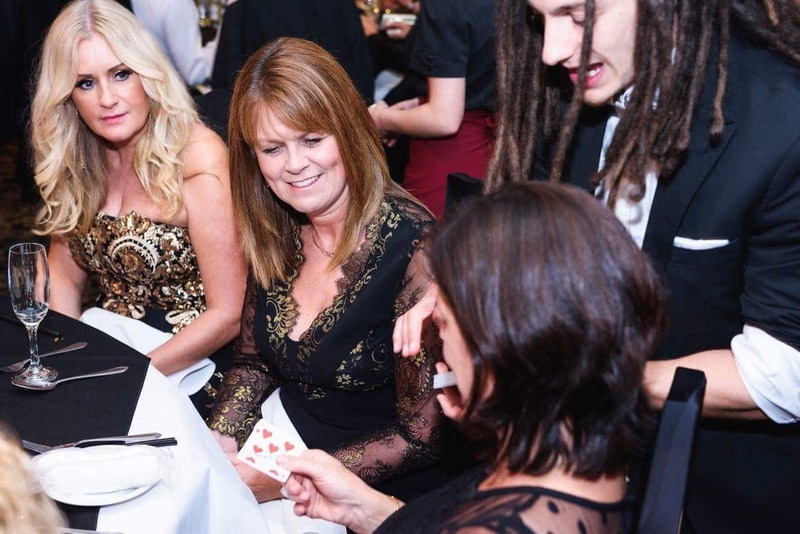 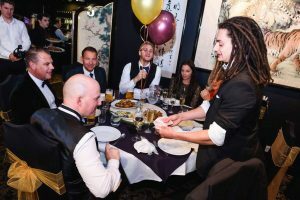 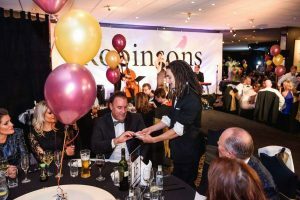 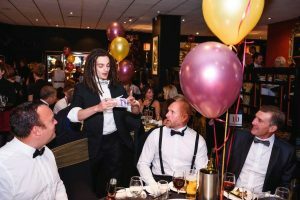 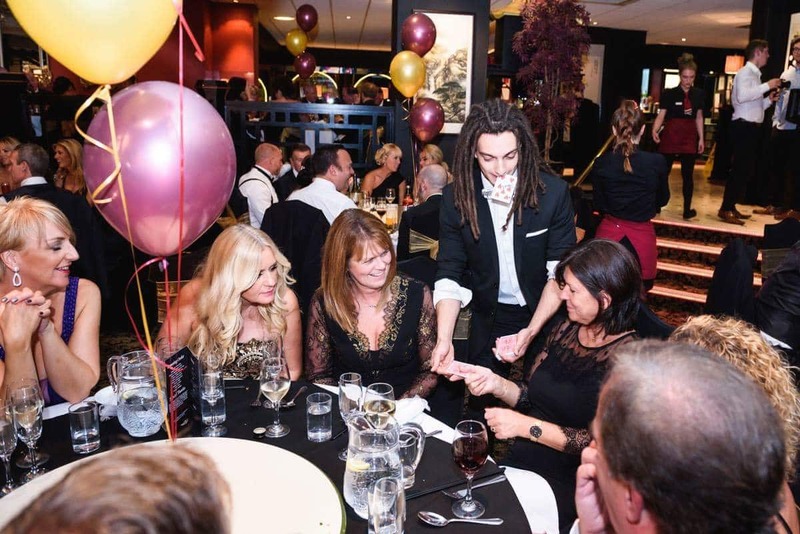 I’ve already talked about this year’s annual Robinsons of Bawtry Charity Ball in aid of Yorkshire Cancer Research, which was held at the beautiful China Rose Bawtry – Chinese restaurant, but now I actually have some of the photographs of this year’s magic to share with you lovely people. 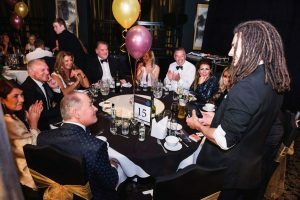 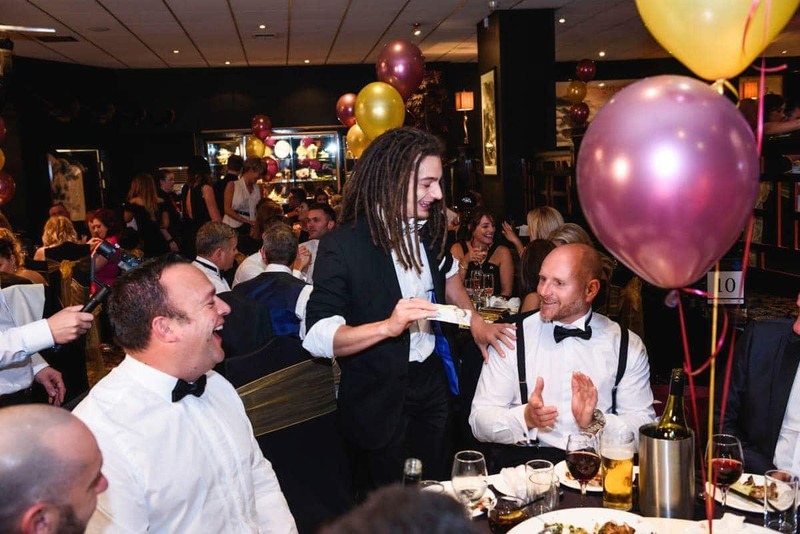 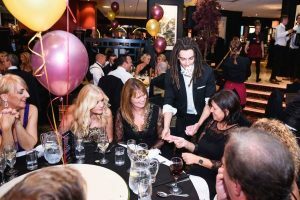 I love being hired to add a bit of fun to formal events like these – corporate dinners, charity balls, business banquets or company staff parties. Sometimes the nature of a black tie event can put people in a serious mood, so it’s always a pleasure to turn up and get people smiling, laughing and having a great time together straight away! 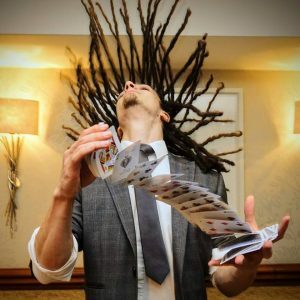 Even with repeat clients who hire me as their corporate magician year after year, a bit of interactive magic is always a memorable and fun addition to any party! 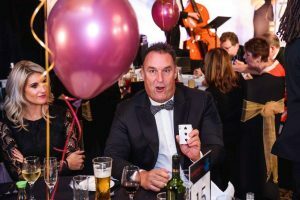 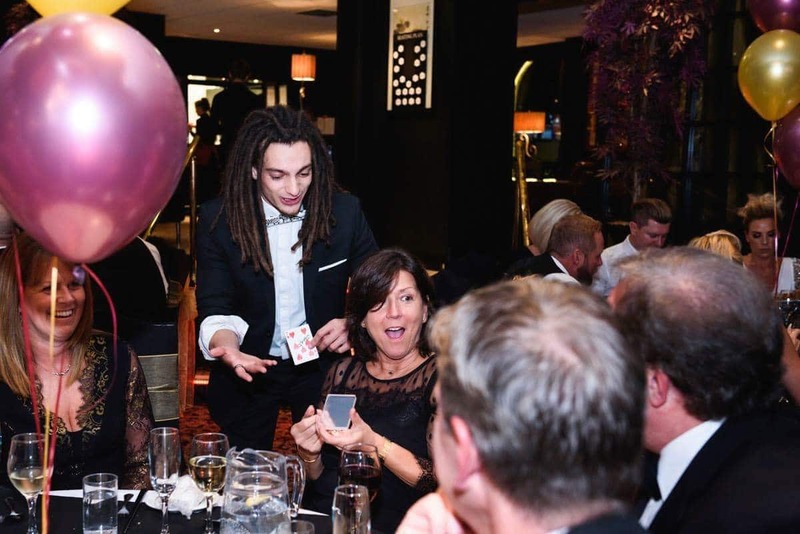 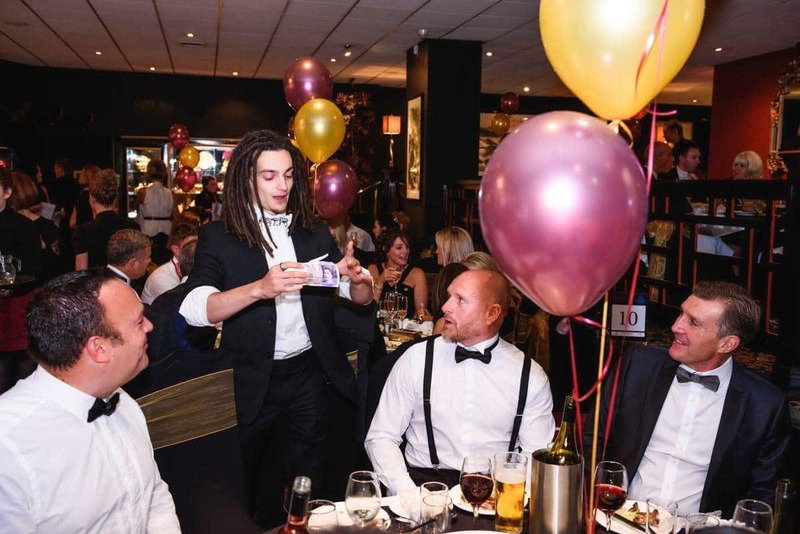 If you’re thinking about hiring me as your corporate magician for your next event, please fill out my enquiry form and I’ll get straight back to you with my availability and suggestions to add some fun, amazement and laughter to your event!